The Glass coach was built in 1896 and is usually driven to a pair of horses. It has glass panelled sides and a deep button red interior in the traditional manner. This carriage proves popular all year round but especially for winter and Christmas weddings. We pride ourselves in presenting our carriages as they would have looked during the elegant Edwardian era. 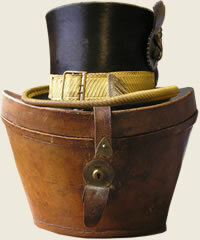 Using English patent leather harness, silk top hats and top boots on the livered coachman and footman and cleanly turned out carriage horses.